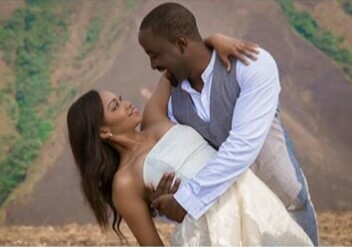 Donald Duke’s daughter, Xerona got married to her boo DJ Caise in a lavish traditional wedding recently. 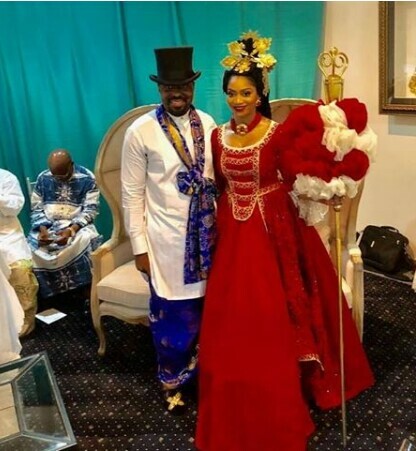 The pair had their introduction ceremony on October 14, 2017, in Lagos state. Xerona is a songwriter, filmmaker and activist while her husband Derin Philips aka Dr Caise is the son of Engineer Lanre Phillips and Chief (Mrs) Olateju Phillips, the former Lagos Commissioner for Special Duties and the first daughter of legendary billionaire, Chief Deinde Fernandez. The new bride, Xerona had revealed during their introduction that she wanted to blend their cultures . Her father is Efik and Quas, and her mother is Kalabari. Dr Caise is Yoruba.